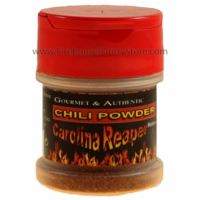 Product Details: The Carolina Reaper is the hottest chili pepper on Earth, according to the Guinness Book of World Records, testing on average at 1,569,300 Scoville Heat Units (SHU). 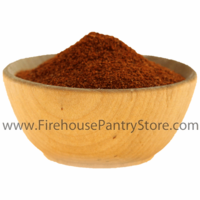 This pepper powder is made from grinding up the dried chile pods and nothing more; it's 100% pure and uncut. We think it smells and tastes similar to habanero peppers, with their fruity, citrus flavor. 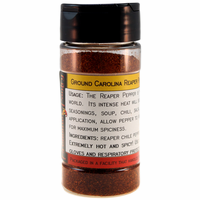 Ingredients: ground reaper pepper. An all natural ingredient. Packaged in a facility that also handles wheat, milk, soy, egg, sesame, peanuts, and tree nuts.